Eye tracking market involves measuring of either the point of gaze (where one is looking) or the motion of an eye relative to the head. An eye tracker is a device used to measure eye position and eye movement. The various activities including where to look, what to ignore, when to blink, and the reaction of the pupil to different stimuli. Increase in use of eye tracking technology in the military and aerospace sectors drive the growth of the global eye tracking market. Moreover, the rise in investment on smart & wearable technology across the industry verticals and increase in demand for assistive communication devices, also fuel the growth of the eye tracking market. The growth in automation and rapid acceptance of robotics technology across the industry verticals restrict the market growth. Conversely, the rapid growth of eye tracking in new applications such as lie-detecting systems, video gaming industry, and cognitive testing, also in aviation industries and R&D in the field of augmented reality, virtual reality, and others are projected to drive the market in near future. 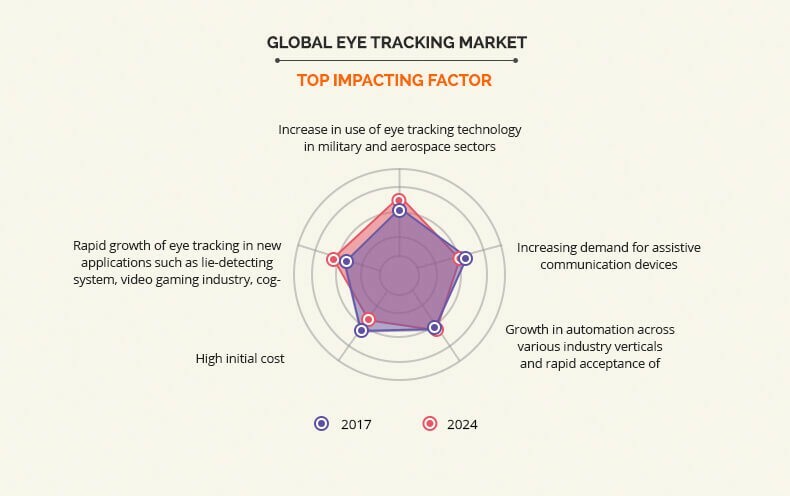 The key players operating in the eye tracker market are Tobii AB, LC technologies , Eyetech Digital Systems , Ergoneers GmbH, Smart Eye AB., Mirametrix Inc., Pupil Labs GmbH, Seeing Machines, SR Research Ltd., and Gazepoint. The report segments the eye tracking market based on type, application, industry vertical, and region. Based on type, the market is bifurcated as head-mounted eye tracker and remote eye tracker. According to application, it is divided into assistive communication, academic research, consumer behaviour research, and usability testing. Based on industry vertical, the market is further categorized into retail, automotive, healthcare, Military & Aerospace, and others (advertising, entertainment, and web designing). Based on region, it is analyzed across North America, Europe, Asia-Pacific, and LAMEA. In the military & defense sector, eye tracking technology is used to find any closeness explosion and harmed area to the brain so that the doctors can take prior actions. Eye tracking is the most efficient method, used to identify targets, and objects to ensure secure working of the aerospace when compared to traditional method of air traffic control, which boosts the growth of the market. Increase in demand for assistive communication devices. Assistive communicators such as eye gaze edge controlling devices are known to quicken the process for differently abled people. There is an increase in demand for such devices, as they provide better accessibility in terms of functioning and quality. This drives the growth of the market. However, the growth in automation across various industry verticals and rapid acceptance of robotics technology restrict the growth of the market. Robotics technology is adopted by many industries to reduce human interaction. The concept of autonomous vehicle is majorly responsible to subdue the growth of eye tracking market in the near future. This report provides an extensive analysis of the current & emerging market trends and dynamics in the global eye tracking market. In-depth analysis is carried out by constructing market estimations for key market segments between 2017 and 2024. This report entails a detailed quantitative analysis of the current trends and future estimations from 2017 to 2024, which helps to identify the prevailing market opportunities. 3.5.1.1. Increasing use of eye tracking technology in military and aerospace sectors. 3.5.1.2. Increasing demand for assistive communication devices. 3.5.2.1. Growth in automation across various industry verticals and rapid acceptance of robotics technology. 3.5.3.1. Rapid growth of eye tracking in new applications such as lie-detecting system, video gaming industry, cognitive testing, and aviation industries. 8.2. EYETECH DIGITAL SYSTEMS, INC. Eye tracking involves measuring of either the point of gaze (where one is looking) or the motion of an eye relative to the head. An eye tracker is a device that helps measure eye positions and eye movement. 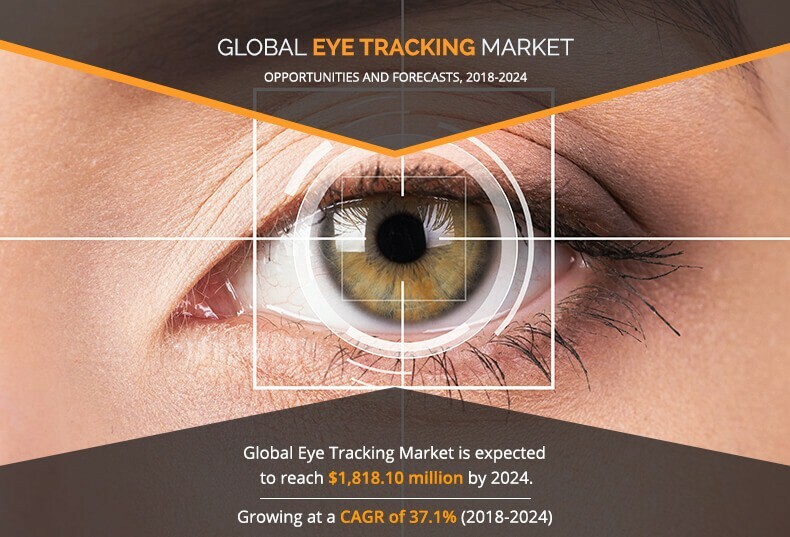 The global eye tracking market was valued at $456.3 million in 2017, and is projected to reach $1,818.1 million by 2024, registering a CAGR of 37.1% from 2018 to 2024, due to increase in investment on smart & wearable technology across the industry verticals, and rise in demand for assistive communication devices. Based on type, the market is segmented into head-mounted eye tracker and remote eye tracker. The increase in use of eye tracking technology in the military and aerospace sectors majorly drive the market. In addition, rise in demand for assistive communication devices and wide application such as usability testing and academic research offered by eye-tracking technology fuel the growth of the eye tracking market. Based on region, North America was the highest contributor, in terms of revenue, to the eye tracking market, in 2017. In addition, based on type, head-mounted eye tracker contributed significant revenue to the market, majorly from the U.S. and Mexico. 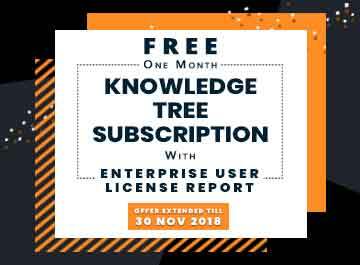 Furthermore, by application, the consumer behavior research segment is anticipated to witness the highest growth rate during the forecast period. Key market players have adopted various strategies, such as new product launch, business expansion, and strategic alliances to increase awareness about the eye tracking market across various countries.